Hiring a professional to install your stair lift is the best idea to insure safety and insure the proper codes and permits are followed. Stair lift providers will offer installation services for their first class lifts to insure that your lift is installed professionally. They will help you select the right stair lift model for your home and deliver and install your new stair lift professionally. Your stair lift provider will come to your home and conduct a detailed assessment of your staircase. If you have a curved staircase, they will use cutting-edge digital survey equipment to provide precise curved stair lift installation. With the information gathered during your home evaluation, the installation professional will arrive on site ready to install your stair lift. The process typically takes between two and four hours. The professional starts by assembling the stair lift track to check for size and fit. Then the stair lift track is secured to the stairs using a series of brackets, which screw into the tread of the stair. Next, the wireless call/send stair lift remotes are installed so you can call the stair lift to the top or bottom using a wireless remote control. The stair lift chair is installed with initial adjustments made based on the home and user. The user sits in the stair lift chair to test for sizing and fit and the technician makes any necessary adjustments to the armrests, seat height, safety belt and footrest to ensure the stair lift is safe, comfortable and easy to use. The stair lift is plugged into a standard outlet and tested for proper operation. Finally, the technician provides complete instruction on the proper use of the stair lift. Indy Stair Lifts, a division of Nationwide Lifts, sells and installs a wide variety of stair lifts that range in size, ability and style. Choose from the Indy Pinnacle, the Indy Lux, the Indy XL and the Indy Outdoor models that offer weight capacities up to 500 lbs. and feature a variety of safety features that stop the stair lift when it meets obstructions. 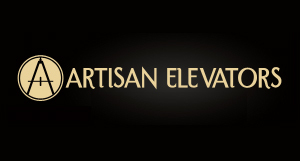 We combine elegance with safety to bring you a stair lift that excels in style and comfort and is professionally installed by our team of certified technicians. We rely on trained technicians because the reliability and longevity of the equipment is dependent on proper installation and maintenance. Call us today at 888-203-5754 to find out more about our Indy line of professional stair lifts and our professional installation services. Indy Stair Lifts offer you a means of independence and expands your mobility in your home.